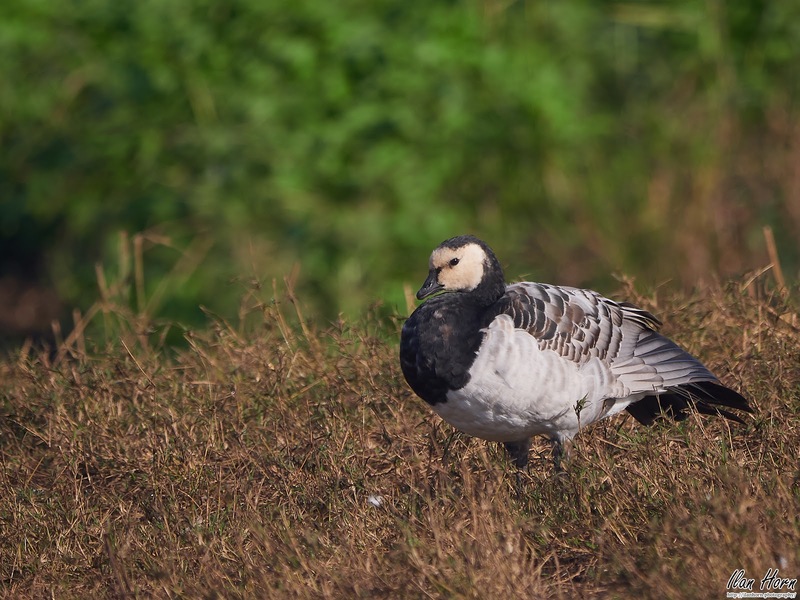 Barnacle Goose - a new Guest! This year we had another new guest in Israel (apart from the Demoiselle Crane I showed a few days ago) in Israel - a Barnacle Goose! They are very common in Europe (so I hear), but have neved made it to Israel. Until this year. A single one joined the migration of the Cranes and can be observed quite happy in Agamon HaHula in Israel this winter. I was fortunate enough to have had the chance of observing and even photographing it from quite close by. What do I like about this photo? A new type of bird, that I usually wouldn't be able to observe! What's not to like? Technically, the photo has quite a bit of details on the bird, and the background, comprised of the brown grass with the green further back, adds interest. I used an open aperture (f/6.3, the most open my lens supports at a focal length of 400mm) to have a shallow depth of field, so the subject is in perfect focus while the background is blurry. The color contrast is also nice, with the goose being black and white and the background comprised of other colors. What would I want to improve? Eye contact would have been nice. A lower angle of view (which was not possible since I was in a vehicle - we would have never gotten that close on foot) would have made more of the background green, and more blurry, for a more dramatic photo.